Have you ever wondered how you could successfully start your blogging career? This task is quite simple – you should just learn to write unforgettable articles that provide helpful and educational content to your readers. Because of the fact that the internet is full of different information, it is really essential to make your article a piece of art. 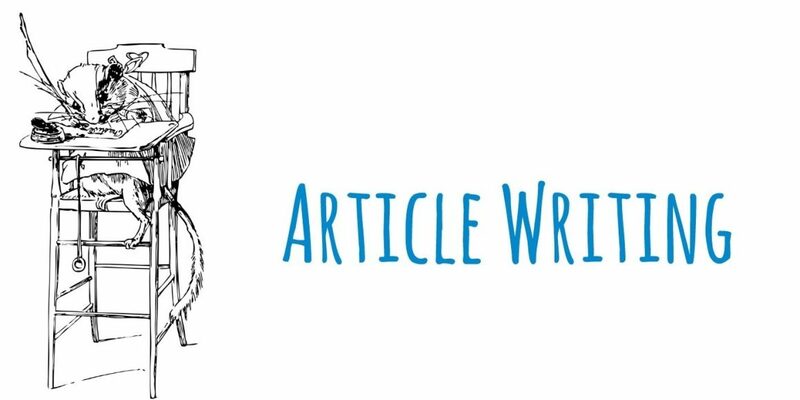 Here are some tips you can use to write an article that is worth your reader`s while. No matter how hard you try, you will always get feedback from your devoted readers and regular haters as well. You should always remember that it`s literally impossible to keep everyone pleased. You will never succeed if you dread disapproval. One day you will definitely increase your readership. It is just a matter of time. Each person who reads something does so with one purpose – to get something of it. What readers really want is high-quality content that makes sense to them. You should try to serve your readers and give them what they crave. Join different social media groups and forums, find out what people are talking about, develop new relationships, and pay attention to blog post comments. All compelling headlines make an intriguing promise. First of all, you should define which type of headline is most appropriate and winning for you. Keep in mind that any headline that lists a number of reasons, secrets, types or ways will undoubtedly attract your reader`s eye. Write an introduction that clearly defines the topic to be covered and keeps the reader`s attention. Without a good opening paragraph, you will miss the chance to make a strong first impression and engage your readers. Start your article with a broad, interesting question. Get more specific with every sentence. Your goal here is to introduce the topic of your article in a manner that is meaningful, engaging, and appropriate to your audience and purpose. Wrap up your article by re-stating your position or main point. Avoid introducing new ideas or materials. End with a thought that will make your readers apply what you have written to their own lives or a situation around them. Your last sentences should show your readers why you have spent so much time trying to persuade them that your claim is true. Don`t be afraid to share your own experiences. The thing is that when you tell the stories only you can tell, your unique voice shines through. Bring hope with your words and people will listen to what you say. Inspire other people and add value to their lives. Remember that the greatest pieces are those writings that touch and provoke readers. It is one of the most important steps in your writing process because what will ultimately draw your readers and keep them is how compelling your content is and powerful your words are. Be true to your core values and your unique artistic vision. When you are yourself, you write things that are more gripping for your readers. Your article should be easy enough to digest during a coffee break. Be tough – ask whether each section and each word is really necessary. Cut out superfluous words but make sure the message is still clear. Use simple words where possible. Simple language, in fact, will make you more credible. Avoid ambiguity in order not to confuse your readers.